Since I’m feeling better, I thought I’d change things up and share something different. Here’s some corporate lingo so you can sound smart! 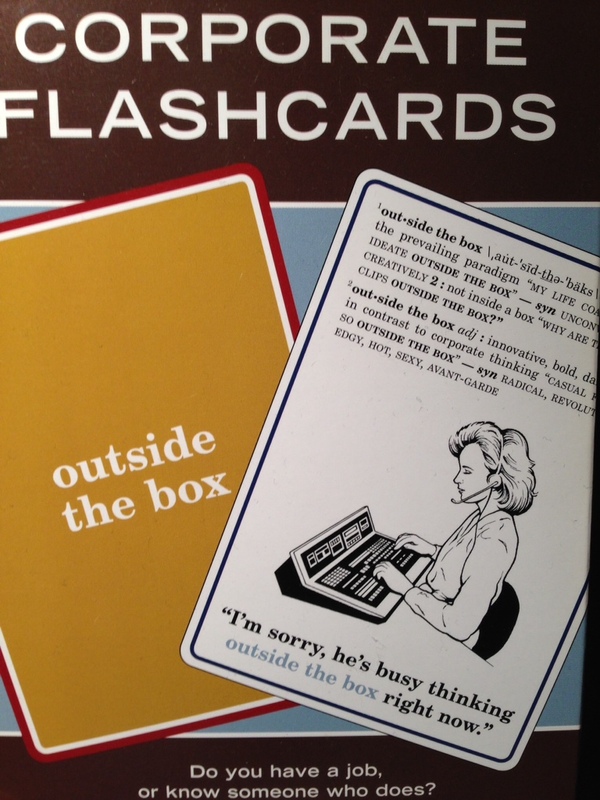 I found a box of corporate flash cards on the shelf when I was moving books around. 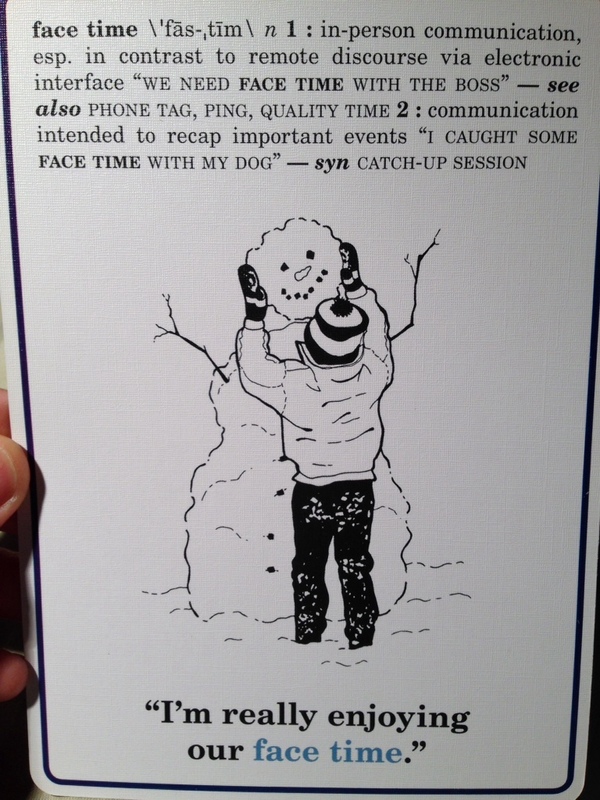 These are stupid things to make you laugh and I liked this one about face time. Have you ever requested face time with someone? Not this way, but now we have a verb – to FaceTime someone, as in: Do you wanna FaceTime, meaning have a real time, video chat? I can see us wanting more face time since everyone seems to have a phone in their face now. Next time I want to get together with someone, I’m going to text them and ask for some face time and see what kind of response I’ll get. I’ll probably get a selfie or my phone will start vibrating with a FaceTime request.